Explore Port Macquarie's surroundings by going to North Brother Mountain (in Laurieton), South West Rocks (Scuba & Snorkeling, Smoky Cape Lighthouse, & more) and Ellenborough Falls (in Elands). 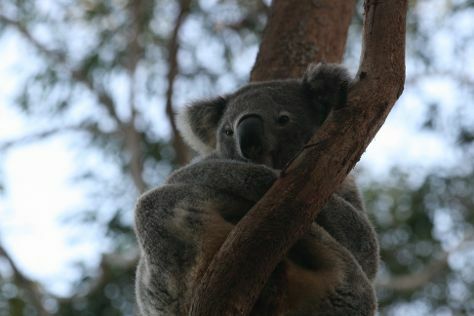 There's much more to do: identify plant and animal life at Koala Hospital, examine the collection at Timbertown Wauchope, stroll through Billabong Zoo: Koala & Wildlife Park, and visit a coastal fixture at Tacking Point Lighthouse. For more things to do, other places to visit, traveler tips, and other tourist information, use the Port Macquarie trip planner . In April, daily temperatures in Port Macquarie can reach 20°C, while at night they dip to 18°C. Finish up your sightseeing early on the 2nd (Thu) so you can travel back home.